Volume N ° 1 Eva The First Art Comic Series. If you order a copy, we are offering free shipping, just insert the code ‘ Eva ‘. The printed comic series will be published in inglese , italiano e tedesco . Art comic Collectors Book Vol. N ° 1. 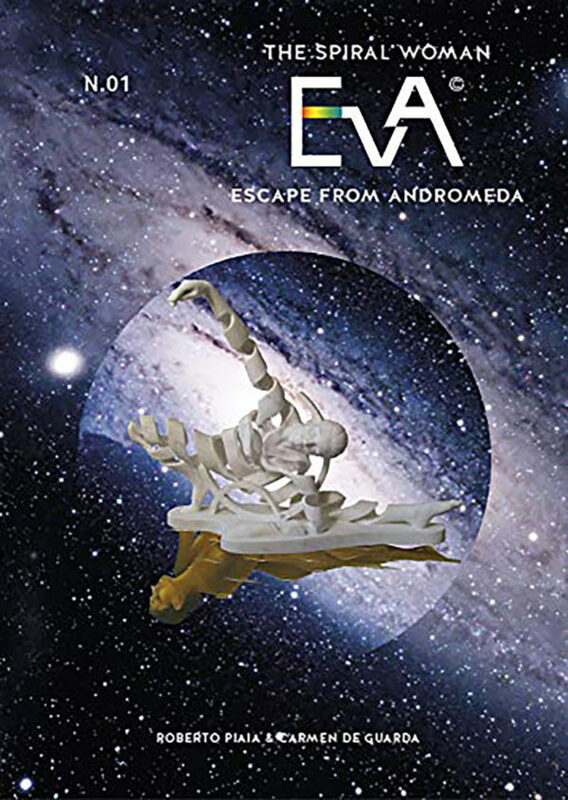 Escape fromAndromeda: Eva the Spiral Woman © And it’s from the beautiful and majestic Galaxy of the Constellation Andromeda that kicks off the science fiction Saga. Made of hundreds of billions of stars that starting from the center form giant spiral arms.A new comic art strip with revenge, passion, love, hate. It can shortly be downloaded online or the volume can be requested in paper format through the website. Roberto Piaia, Painter and Sculptor, world premiere Creator of the “spiral” form in sculpture. Gave rise to imagination by creating a comic book enriched with a series of oils on canvas and impeccable drawings. Telling us a story full of symbolic messages. Both ancestries have paranormal powers. They find themselves after light years on the planet Earth, where the struggle between the women closer to the Good of Andromeda, and those evil ones from the black hole of the Milky Way begins. The idea behind ​​the story is the result of Roberto Piaia, while the text is written by Carmen De Guarda.